FRANCE: Award-winning director Steven Spielberg will head up this year's Cannes Film Festival jury, the organisers announced Thursday, just days after he missed out on his third best-director Oscar. 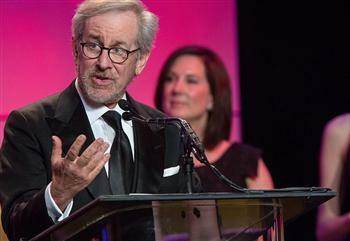 Spielberg, 66, one of the most powerful and respected film-makers in Hollywood, said he was flattered by the appointment. "The memory of my first Cannes Film Festival, nearly 31 years ago with the debut of E.T., is still one of the most vibrant memories of my career," he said in a statement. "It is an honour and a privilege to preside over the jury of a festival that proves, again and again, that cinema is the language of the world," he added. The broad reach of Spielberg's film-making made him an obvious choice to head up the jury of one of the world's most influential film festivals, the organisers said. Ever since E.T. screened at Cannes in 1982, "I've often asked Steven to be jury president, but he's always been shooting a film," said the festival's president, Gilles Jacob. "So when this year I was told 'E.T., phone home,' I understood and immediately replied: 'At last!'" The festival is one of the highlights in the international cinema calendar and this year runs between May 15 and May 26. Spielberg's work cuts across a broad spectrum "between entertainment films and serious reflections on history, racism and the human condition", festival organisers said in the statement.